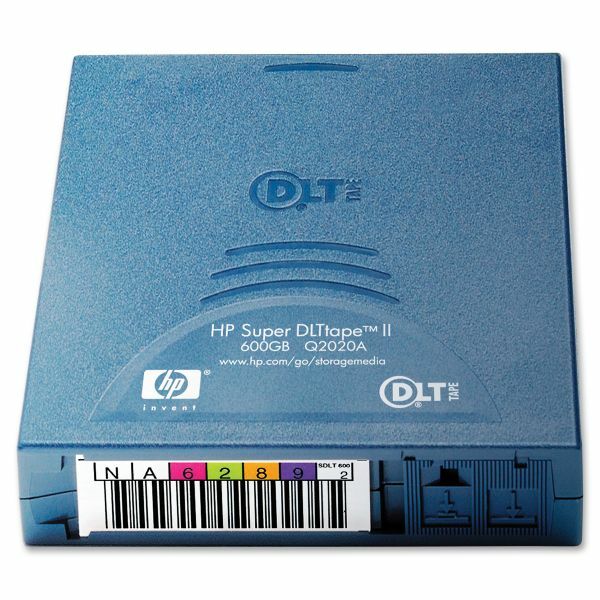 HPE Super DLT Tape ll Data Cartridge - HP Super DLT tape II Data Cartridge is ideal for mid-range to large applications requiring fast and frequent backup and retrieval. 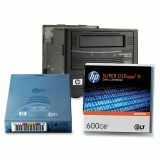 With 600GB capacity and 72MB per second transfer rate, HP SDLT II 600GB Data Cartridges offer high-capacity and low cost per GB for customers with prior investments in DLT backup technology. 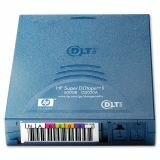 Rigorous in process certification, testing, and sampling of HP DLT/SDLT media ensures consistent quality and reliability. Ongoing accelerated tests show that HP DLT/SDLT data cartridges can exceed one million passes without unrecoverable error so that an archival life of 30 years can be archived.